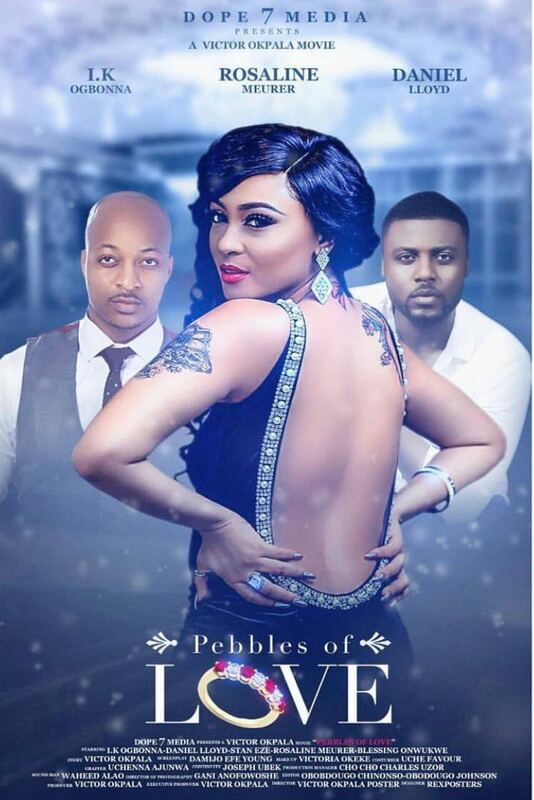 Fast rising actress Rosaline Meurer is headlining the lead role of a new blockbuster movie " Pebbles Of Love" featuring top stars like IK Ogbonna and Daniels Lloyd. The movie which is said to be attracting interest all over the country because of the controversial actress on the poster is indeed a must watch nollywood emotional thriller that will hold the viewers spellbound to the last scene. ‎The movie which is presented by Dope 7Media from the stable of Victor Okpala Movie explains the twist of love and betrayals. Oh! Yes, grab your copy now as Rosaline Meurer interprets a must- watch character the will leave you asking for more.